What’s Facebook Creator? If you want to add more polish to your Facebook Live broadcasts, this app is for you. Facebook Creator is a handy all-in-one app that lets you record branded video, chat with your community, and get valuable insights into your content. For example, Jeff Sieh of Manly Pinterest Tips couldn’t sign up for the Creator app when he was listed as a resource blog but was able to join when he changed the page to a video creator and podcast. To upload your images, click the Upload Art button or drag and drop your files. Finding the right sizes and placement of the graphics takes a little trial and error. I used 1080 x 1080 pixel graphics and played around with the arrangement. 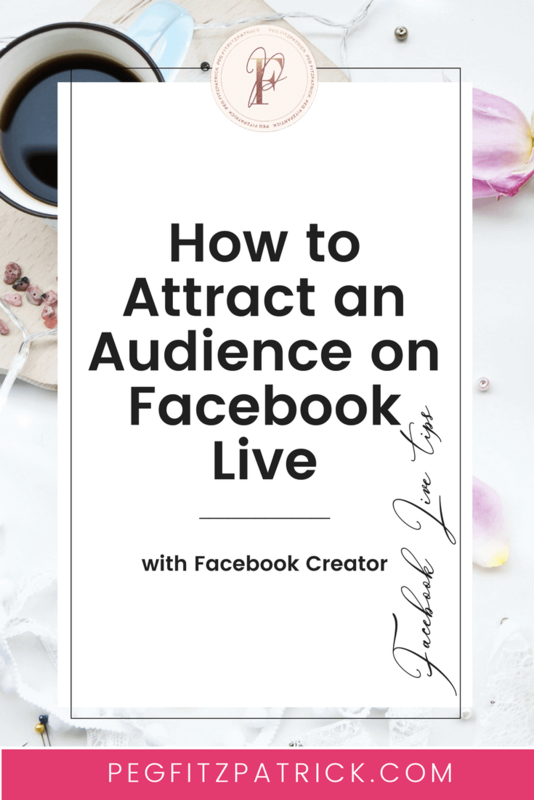 Here’s a Facebook Live show that I did with my creative kit in the Creator App so you can see the intro, graphics, and outro that I added. You’ll see a countdown, and then you’ll be live on Facebook. If you added an intro, wait for it to autoplay and then start talking. • See how many viewers are watching live. • Track how long they engage with the video and when they drop off. • Scope out positive and negative metrics. Positive metrics are likes and shares, and negative metrics include hides, reports, and unfollows. • View a ranking of your video engagement. • See your top five videos by video views. Review these and see if you can pinpoint what makes them popular. • View demographics including age, location, and gender. The Creator app lets you respond to Facebook and Instagram comments in a unified inbox. If you’re using Creator with your personal profile, you can also reply via Messenger. The Facebook Creator app is a game-changer for video creators. Facebook has included many unique, exciting features that make this a standout app. Better communication with your fans, a smart inbox, and opportunities to create a strong visual brand have put the ball in the creators’ court.